4 Training Plans specifically designed to meet the day-to-day training needs of Correctional Officers. Concurrently trains total body strength, upper body hypertrophy, work capacity, grip strength, tactical agility, and Chassis Integrity (functional core strength). The price for this packet represents about 30% savings over purchasing the plans individually and saves you $57! 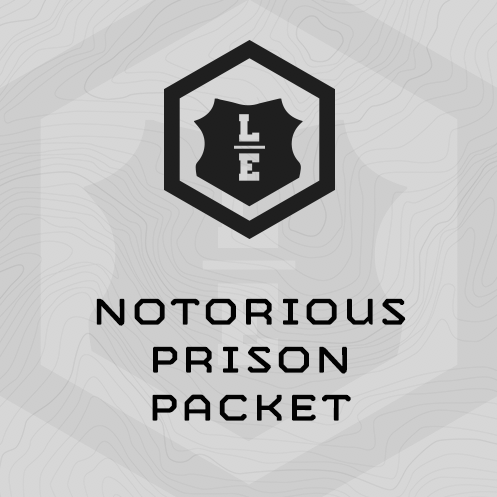 The Notorious Prison Packet of plans deploys MTI’s Fluid Periodization programming to build the day-to-day fitness training requirements of Correctional Officers. The programming in this packet effectively balances total body strength, upper body hypertrophy, work capacity, grip strength, tactical agility, and Chassis Integrity (functional core strength). While each plan deploys a different strength progression. See the chart below for a comparison of each plan. All plans require a fully outfitted functional fitness gym with barbells, bumper plates, racks, dumbbells and/or kettlebells, plyo boxes, pull up bars, sandbags, etc. What order should the plans be completed it? We recommend the order listed above. Begin where you left off when you return to training. This program is progressed – each session builds upon the prior session – so don’t skip a session or skip around. Follow the training sessions in order, regardless. 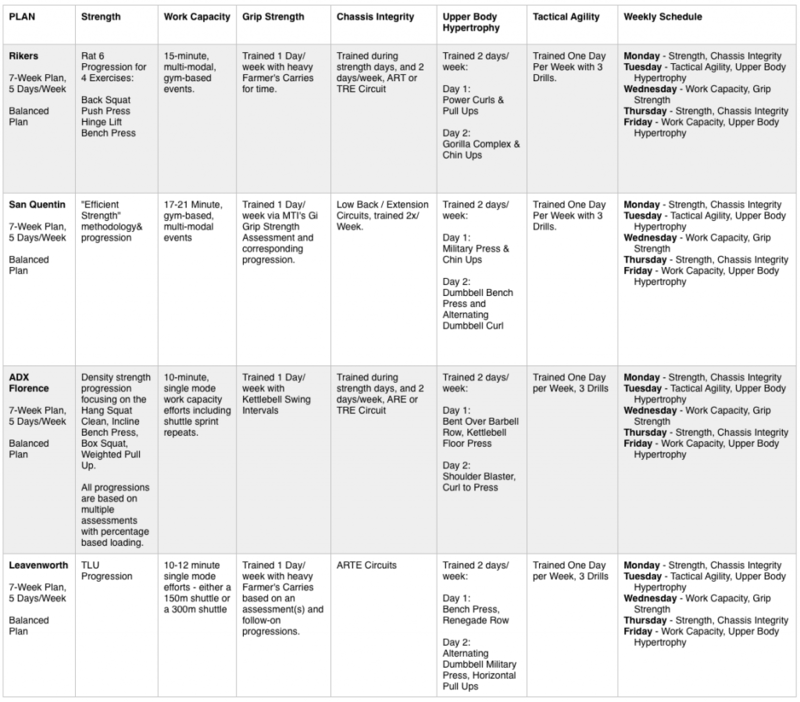 Yes – click on each individual training plan above, then click the “Sample Training” tab at the plan product page to see sample training. Plan access is online or through the MTI app, via username and password.